MetaChat - Okay. This made me laugh way more than it should have. Okay. 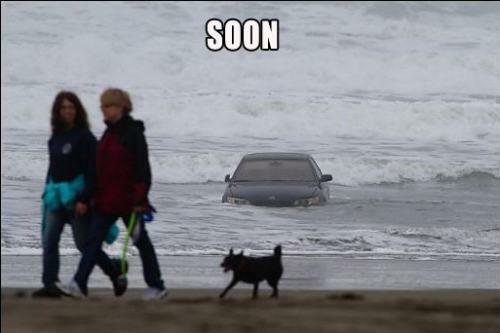 This made me laugh way more than it should have. Easily my favorite meme*, although I can only infer the translation. 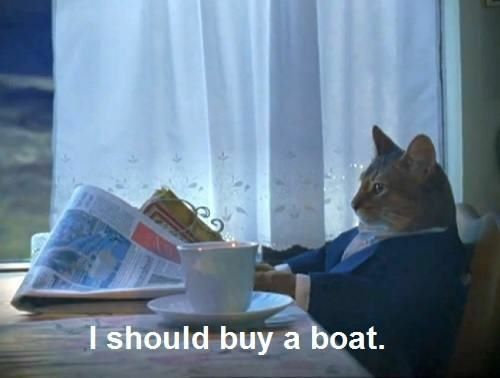 These are unrelated, and recently made me smile: Soon | I should buy a boat. More specifically something like "Hello [the telephone-specific version of 'Hello'], the act of being a dog occurs." 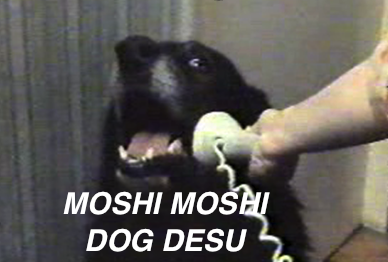 It is understood by context that "dog desu" refers to the speaker, but if s/he wanted to be more clear, s/he could have prefaced it with "Watashi wa" (basically "as for me" or "relating to me"). Okay, that just about exhausted my Japanese other than the über-useful phrase "Watashi wa henne gaijin desu, Nihongo o wakarimasen" ("I'm a crazy foreigner, I don't understand Japanese", spoken in the very formal way).